A Forecourt Handover Bay Canopy enhances your customer sales experience and offers an extra after sales touch. The Ultimate freestanding curved canopies that Kappion design, manufacture and fit are an ideal addition to your premises for your outdoor fleet. Our canopies allow you to ensure that the customer sees their new purchase in top condition when they arrive to collect their vehicle. 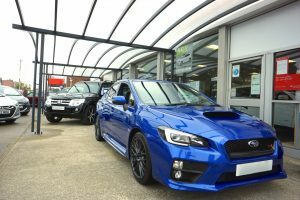 Our Forecourt Handover Bay Canopy offers undercover protection for yourself, your customer and the vehicle whilst you are handing over the car. The canopy is perfect for storing the vehicle after it has been valeted and serviced, prior to collection. The canopy will also keep the vehicle clean and dry in preparation for the customers arrival. All Forecourt Handover Bay Canopies are hot dip galvanised as standard to prevent rust and can be powder coated to your companies corporate colours. The canopy can also double up as a waiting area for vehicles being used on a pre-booked test drive. The canopy can also be utilised as an extension of your showroom, to show off a special car deal of the week for example. Our canopies are hot dip galvanised for complete rust protection and then powder coated to your chosen RAL colour. This gives your canopy a long lasting finish. All canopies are glazed with 10mm thick multiwall polycarbonate, which is available in 3 colours. Here at Kappion, we appreciate the importance of good design, 1st class manufacturing and good solid customer service. Our canopies are designed to enhance your companies image as well as provide the much needed additional covered space. 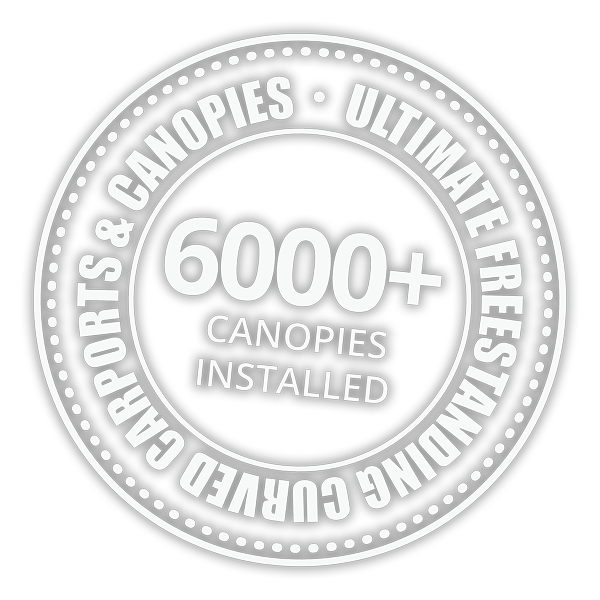 All of our canopies are designed by our in-house specialists who have been designing, manufacturing and installing bespoke canopies for years. Our ultimate canopies are professionally installed with the least amount of disruption to your business. When you commission a Forecourt Handover Bay Canopy installation through Kappion Canopies you can be reassured that it will be custom designed and structurally engineered to work with your geographic location. It will be designed to withstand the snow loads and wind speeds for your area. The canopies installed are made from steel for ultimate strength and resilience. They are hot dip galvanised for complete rust protection and once galvanised the canopy will be powder coated to your chosen RAL colour to match your corporate colours. The roof will be glazed with your colour choice of long lasting 10 millimetre multiwall polycarbonate. Finally the guttering and downpipes will be designed to meet your exact requirements, which will allow water to be directed to the nearest surface drain, keeping the area dry.